Faithfully Serving in Elbert County & Douglas County since 1996! Brian Janes and his team were incredibly helpful and supportive the entire buying process. I never felt pressured or stressed about the transaction. They made it very simple, and we closed within 30 days. He truly made us feel like family and we were well taken care of throughout our dealings with them. Sold a home but was never really listed. Quick and efficient. We got the price I wanted. Brian and Sarah kept on top of things and kept us informed. Now we’ll look for a new house with Landmark’s help. Wonderful to work with. The whole team is great and knowledgeable! They go the extra mile to find the right home! Definitely a five star team. Thank you for all your hard work. Isaac and Brian were there for us every step of the way. They answered every question and went above and beyond to make themselves available to us. My experience with the entire landmark team was nothing short of a blessing from God! Will not use another realtor! They were ready and available every step of the way. Very professional and knowledgeable! They were a pleasure to work with and will I will be using them for all my real estate transactions from here on out! I highly recommend their services! Very impressed by this realtor!! He helped us buy a house and was very knowledgeable and easy to work with. His customer service was top notch and provided constant feedback on the negotiation. Would highly recommend!! This is our second experience with The Landmark Team…and they will be our lifelong agents. The Landmark Team moves with professionalism, expertise, honesty, and grace. We are blessed to have The Landmark Team as a staple real estate company building our community. Hey Brian! Thanks so much for selling my house. You did GREAT!!! Thanks so much for helping me sell my farm. 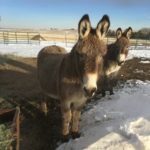 Not only did you get me a better price than I expected, but you found an owner that will continue to provide a home for my donkeys! Brian, Steve, Isaac and Sarah – you guys are the best!!! Come home to this bi-level that backs to a greenbelt and is close to schools! Cozy up by the fireplace in the family room or enjoy entertaining in the open dining room/kitchen area. Let the kids play outside while you relax on the back deck. Scheduled to get a new roof, new shutters, new screens, new skylights, new exterior paint, new rear deck, and a refinished front deck! It will be fresh and ready for you! Pergo floors and Berber carpet in 2004. To view a virtual tour of this property, please click below. For a printable brochure, click here. View our virtual tours, click below. NAR Reports Show It’s A Great Time to Sell! Why are Existing Home Sales Down?